This is the right of employee to get Annual Leave in UAE as per Labour Law 2019, and this is everybody wish to get call for their annual leave and vacation at the end of their yearly service for the company. We encourage everyone to learn more about your rights regarding UAE Annual Leave in-order to respond to your company HR, PRO or Management decisions on your benefits provided by Government. Q: What are the New Rules for UAE Annual Leave 2019? Q: What is annual leave and who is entitled for it? Q: Do we entitled for air ticket as per UAE Labour Law? Q: What are the days of Annual leave Holidays in UAE? Q: Who decides when you go on annual leave, Company or Employee? Q: When will we be paid and what are we entitled for? Q: What if there are public holidays during annual leave? Q: What if someone fall sick on annual leave? Q: What if someone couldn’t come back to work within signed Holidays? Q: Can employee be fired during his/her annual leave? Q: Do I allowed to work for another company during my annual leave? Q: Can we force company for Air Fare in cash? Q: Please Describe Annual Leave as per UAE LABOUR LAW Articles. Q: What if I worked for same company during Annual Leave Holiday? Q: Can I entitled for Sick Leave during Probationary Period? Q: Do we eligible for Housing and other Allowances during Annual Leave? The government employees working in Dubai will get 12 types of leaves from January 2019, according to the new human resources law. The new law obligates the managers to respond to leave requests within 10 days. 12: Leave for national service and reserve. What are the days of Annual leave Holidays in UAE? 18 working days for grades 3 or below. 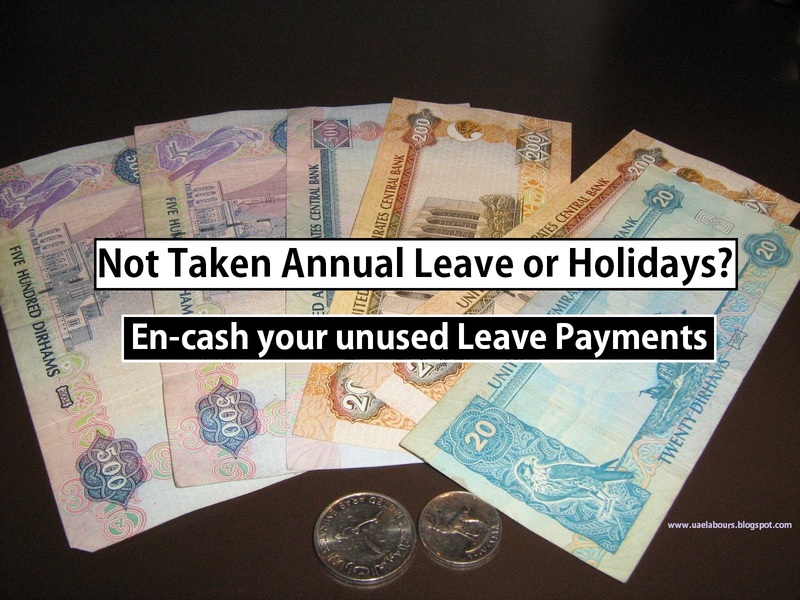 What is UAE Annual Leave and who is Entitled for it? Annual leave is a paid time off work granted by companies (employers) to workers (employees) to be used for whatever the employee wishes. Please clear that a person who is working (full time work) under UAE LABOURS LAW is entitled to Annual Leave and it is a basic right of every worker written in various UAE Labor Law Articles. Article 75 stated: “Employee is entitled for 30 days annually if his service exceeds one year. At the end of the service the employee is entitled to an annual leave for the fraction of the last year he spent in service”. Do we entitle for air ticket as per UAE Labour Law? The most important aspect and the mostly asked question by our readers is that “do we entitled for air ticket after completing 1 year of Service? The answer is NO. The company is not liable to pay air ticket to the employees by completing 1 year of service, but the rules are change upon the expiry of employment contract. When an employee completes the employment contract (2 year or 3 years) and there is no intention to renew the contract, the company should provide the air ticket to the employee’s home country. This is mentioned in the Article 131 of the UAE Labour Law “Expenses for repatriation of an employee to his place of origin or any other place agreed upon by both parties shall be borne by the employer. If the employee after the end of his contract takes up employment somewhere else, repatriation expenses upon termination of his service shall be paid by the last employer subject to the provisions in the preceding clauses, and if the employer has failed to repatriate the employee and has not paid the repatriation expenses, the competent authorities shall do this at the employer’s expense by way of attachment. If the cause for termination of contract is attributed to the employee, his repatriation will be arranged at his own expense if he has the mean to pay”. Who decides when to go on annual leave, Company or Worker? If you are employee (worker), you could decide when your annual leave starts. However, employer (Company) can change or divide your Annual Leave if the exigencies of work necessitate. Article 76 stated: “The employer may at his discretion determine the date for commencement of annual leaves and, when necessary, he may decide to divide the leave in two parts at the most, except in cases of juveniles where vacation may not be divided in parts”. When we will be paid and what are we entitled for? UAE Labour Law clearly states that every Employee should get his/her annual Leave once his/her service exceeds 1 year. After one year of service, employee is entitled for full Salary before taking his/her Annual Leave. Please note many companies are in violation of UAE Labour Law by paying only salary, you should be paid both your normal salary + Annual Salary. Article 80 stated: “Annual leave shall be paid to the employee before taking his annual leave, the employee shall be paid his full wage, plus the wage of his leave days he deserves according to the provision of this law”. What if there are public holidays during Annual leave? In case of any official or Public holidays announced by Government during the Annual Leave, those days should be treated as part of Annual Leave. 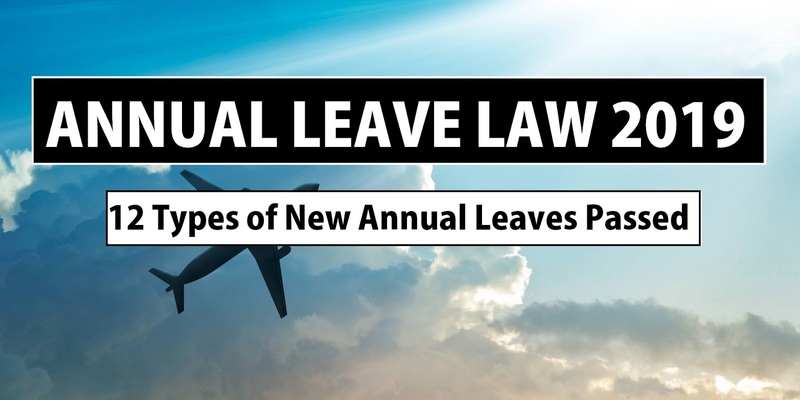 Article 77 stated: “The calculation of duration of annual leave shall include holidays specified by law or by agreement, or by any other day because of sickness if they fall within the leave and shall be deemed to be part thereof”. What if Employee get sick During Annual Leave? In-case if worker is on leave and falls sick, he/she first report his/her company HR, PRO or Management about illness through Email or Fax as a record which can later be used in legal cases. Article 82 stated: “If the employee falls sick for reasons other than labour injury he must report his illness within a period of two days at most and the employer must take necessary measures having him medically checked up to ascertain illness”. What if someone couldn’t come back to work within given holidays? If an employee (worker) delayed the rejoining or couldn’t come back to work after Annual Vacation due to family or other issues, he/she will not be entitled for any pay for the days he/she absent. Article 89 stated: “Subject to the provisions herein contained, every employee who does not report to duty immediately after expiry of his vacation, he shall be deprived of his pay for the period of absence commencing from the day following to the date on which the leave has expired”. Can employee be fired during annual vacation? An employee working in any state of United Arab Emirates cannot be terminated by Company from his services while he/she is on annual leave. If an employer (company) does dismiss a member of his staff while he/she is officially on leave, it may be considered an arbitrary dismissal and the affected employee can take course to legal action against company. Do I allowed to work for another company during my annual leave? No, you are not allowed to work for another company during your Annual Leave or Vacations. If you get caught while working for another company, your Company/Employer or Sponsor has the right to terminate your service without any notice and you will be given any gratuity pay etc. What if worker worked during Annual Leave Holidays for the same company? As per Ministry of Labour Article 78, “if Employee made to work during his/her Annual Leave Holidays, he/she should get paid in cash on basis of his/her basic salary”. Can I have entitled for Sick Leave during Probationary Period? A. The first 15 days with full pay. B. The next 30 days, with half pay. C. The subsequent period, without pay. Article 78 Stated: “However if the exigencies of work necessitate that the employee works during his annual leave in whole or in part, and the period of leave during which he has worked, has not been carried forward to the next year, the employer ought to pay him his wage in addition to cash in lieu of leave for his working days based on his basic pay”. Is worker eligible for Housing and Allowances during Annual Leave? Yes, Employees are entitled for Basic salary and Housing allowance during annual leave. Article 78 stated: “An employee shall be paid his basic wage plus the housing allowance, if applicable, and any other allowances which he receives in the normal working month. Hopefully you’ve found this UAE Annual Leave Law 2019 guide very helpful, we will be very happy to answer your questions regarding UAE Annual Leave and Vacation as per Labour Law, you can use below comment box for your queries. company have right to change numbers of days for annual leave?instead 30 days only 26 days? Sir i'm almost 7months working to my company , But i want to cancel. Because they not provide me salary. But the problem is i sign the offer letter should i pay 3500 if im not finishing the contract. And the offer letter said they should give me salary every month but they broke the contract. Ineed some help! I want to go back to my own country. as per UAE law you dont have to pay any dirham for canelling your visa. please make a call to 80060 to register your complains related to salary and also make a complain against company for inquiring or obtaining visa cost. which is illegal and a crime. or visit your nearest tasheel centre or labour court and submit a written complain. Thanks for the information. Please i have just a question. What am i entitled to as benefit when i finish 2 years contract in a company without having intention to renew my contract? I was told there's new law which states that after 2 years contract is finished, the employee can only get just one month basic salary at the end of the contract with ticket. How true is this? Is the 30 days leave, working days or calendar days? Working Days. But I dont understand the 12 staff above, grade 4 - 11 and grade 3 below. What is that? Hello sir I need to resign from my company before tow moths of completing my visa so will I be abl to and I will be paid sir? Surely you will be paid annual leave as per the duration and law. If the company accept the leave from Sunday then surely you can leave for your country on thursday night. if friday and saturday is off. likewise if your employer accept for resuming day is sunday. you are eligible to get paid for friday and saturday. in certain cases there are rules and regulations within company. please co ordinate with your HR / Manager or head for further information. Please kindly reply to my post. I posted it a month ago. Hi, is the employee entitled to take annual leave during their first year of employment with the company? HOW MUCH IN TOTAL SHOULD I RECEIVE? Hi.. My outsourcing company is following below practices which is not comfortable to me and my team. Please suggest what UAE labour law states in this case. 1) If we take holiday from Sunday to Thursday (5 working days), they deduct 7 Annual leave. Upon asking the reason, they informed that if staff is not providing service for full week, he / she is not eligible for Friday and Saturday week off. Is this correct as per UAE labour law? 2) When we take Annual leave, they deduct Travel Allowance component during the leave period. Is this correct as per UAE labour law ? Appreciate your response on this. how many days maternity leave can be taken as per UAE law as am currently working in a company for more than 2 years. I finished 8 years job stating from january 2011 to February 2019 and did not renew my contract after finishing it,Till now the company gave my leave salary only once in January 2016 for two years and my six years annual salary is still pending. I claimed many times through mails,phones and even hamdwritten application but the company kept on saying it is under process but now in my EoS they want to give me the last two years leave salary only.Am I entitled to get my remaining 4 years leave salary as per the UAE labour law? Hi sir,I just want to ask because i already finish 2years contract and I'm entitled for vacation and they are always refusing me to go vacation that's why they just give only the leave pay without the ticket...they give me the money, but that was computed only in my basic salary coz my basic is 800 and my salary was 1300..is that correct? ?and now I'm asking if I can go vacation then they says still not allowed until they issue cancellation paper with me...is that correct as per uae labor law? ?thanks in advance,I'm just asking them to pay my ticket as cash coz in case to case basis I want to go vacation but thy didn't allow me..
Dear Sir, my company's HR told me the first year's annual leave for employee is only 12 working days as the probation period isn't entitle for it. And he said, it will be 22 working days for annual leave after 2nd years. Is it true? Please kindly let me know. Thank you&Regards. Please read Article 80 on this same page, you can use this as a reference to show your HR, and ask him about his reference. I am working in our company for 3 years now. I used my annual leave on my 2nd year only in the company for 31 days,but now they deducted my annual leave salary for 1 day because only 30 days is paid. my first question is, the annual salary should only be basic pay or the full salary that we receive every month? second question, can they deduct the annual salary from last year? even they did not inform ahead? Leave salary should be in full not basic and it will be for 30 days even if the month is 28, 29 or 31. Sir, Kindly advise whether it means normal salary for 12 months + 1 month salary for annual leave or 11 months normal salary + 1 month salary for annual leave to be availed. Your clarification may help us a lot. it's 12 months normal salary + 1 month extra salary, means after completing 1 year (12 months) you are entitled for 1 extra salary which we call annual leave salary. I'm in a limited contract, i just want to ask, if I'm going to a vacation after 2 years of service or after finishing limited contract for 2 years, how much do I get? and what is the computation of my gratuity if I decided not to renew? If I complete 2 years in a school how many days leave salary will I be receiving? for completing 2 years, you are entitled for 2 leave salaries. yes you are entitled for Full salary not basic, read article 80 on this page. My 2yr visa will expire on first week of april. In two years of service i have remaining 40 days of annual leave but my company is telling me that 10 days is expred already. What can i do? Is this possible? Im trying many times to take leave but they dont want. Can i encash it instead? hello i have a question, I started working on this company on March 9 2017, and i took my 1st annual leave pay july 6 2018, but my employer didn't gave my annual leave PAY, he said its not mention on the offer that i signed that he will give annual leave pay. is it possible that i can still get that annual leave pay together with my gratuity?coz i am planing to resign on March 2020. Hello, I work for the company since March 2018, I used 14 days of my leave and I was paid for that. My one year is completed already, I would like to know when is the deadline to use the other 16 days? I am planning to take 10 days at the end of April, so will it count as first year's leave days, or I should be paid for non used 16 days, and start another 30 from now till next March? Today i recive a latter of my Job as a Assistant Accountant as per month salary is 3000Asd and other requirment they notifying me you you will also could again overtime As per Dubai Labour law, can you explain me the Labour rules ? will i get extra day leave with my annual leave for my marriage ? This new law will cover only those who signed contract this year (2019)? It will not be applied to those 2019 beyond? Good day, ive work with my employer for one contruct and it is finished i did not use any of my anual leave, the company decided not to continue the contruct of all staff, when i called the payroll she said that un utilzed anual leave will be payed only base on basic salary is it correct?? ?